When we say we have touched someone's life or someone has touched ours it seems to imply that a change occurs in someone's emotional "body. " The change is an acquisition of another's loving and empathic feelings towards you [or you towards them]. The acquisition occurs within your emotional body. 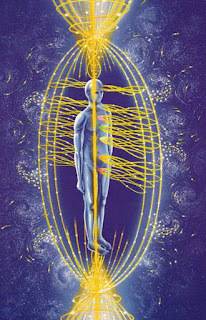 At the most fundamental level of being human there is primal energy exchange that is soulfully nourishing. We are a part of this exchange whether we are conscious of it or not. This exchange is relationship. It is plausible to say, and quantum physics has theoretically proven this, that everything is in a constant state of energy exchange [everything is in a constant state of relationship]. The more aware we become of this energy exchange and begin to understand how this affects our lives we can use that information to our advantage. The advantage comes about when we learn how to see how we are all tied to each other, to the earth, and beyond and with that heightened perspective we gain greater mastery over our own lives. With this gained perspective you become more able to control the degree to which you are conscious of how this emotional energy matrix affects you and how you affect it. 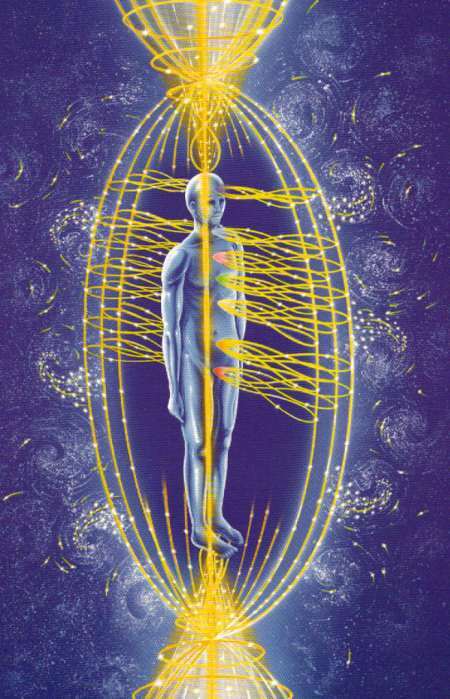 We gain control by beginning to see how we shape the energy matrix that surrounds us. This is also how we change the energy that surrounds us into a more positive and soulfully nourishing way. *Simply, become aware, remind yourself to be grateful of those whom have touched your life, and you simply influence the emotional energy matrix that is your life. Human feelings are a major conduit for this energy exchange. The positive influence of another upon your life or vica vera, heightens your receptivity to love, to gratefulness, to compassion, and joy. When your receptibility for these energies are enhanced and opened you change your life. It is as simple as that. Becoming grateful for those whom have touched your life gives you the ability to pass that on. You just will. There is nothing you need to do. With gratefulness in your heart you will just do and feel great things. Touch someone's life. Do good for another. Love another. You will see that the love become your own. Let that love become theirs and so on. Let that love be there for all to share. Do You Want to Create The Life You Love?